Whatever one thinks about the near-criminal strategy taking place behind the scenes as to how Japan is handling the bailout, one thing is certain: the 50 Tepco workers who are currently laboring at Fukushima, doing all they can to restore the plant back to life, even at the cost of their own lives, are doing a tremendous service to their fellow citizens (futile or otherwise), and deserve to be called heroes. The Mail has compiled what little information is available about these impromptu martyrs, of whom five are believed to have already died and 15 are injured while others have said they know the radiation will kill them, in a piece that everyone should read, especially those who are wondering just who it is that is doing everything in their power to offset Hitachi's criminal conduct(http://i.dailymail.co.uk/i/pix/2011/03/2...34x437.jpg) in the construction of the power plant as disclosed earlier. "The darkness is broken only by the flashing torchlight of the heroes who stayed behind. 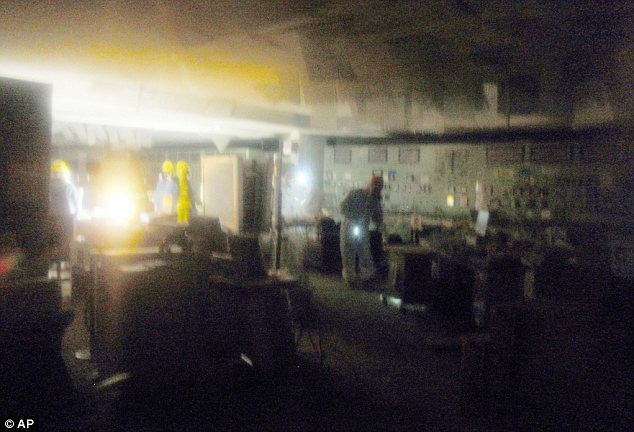 These first images of inside the stricken Fukushima Dai-Ichi power plant reveal the terrifying conditions under which the brave men work to save their nation from full nuclear meltdown. 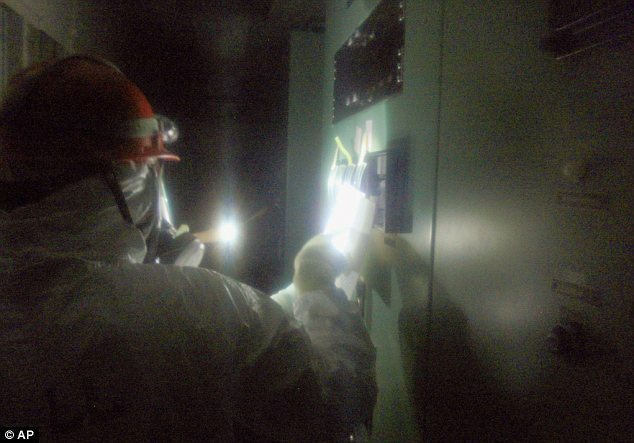 The Fukushima Fifty - an anonymous band of lower and mid-level managers - have battled around the clock to cool overheating reactors and spent fuel rods since the disaster on March 11." 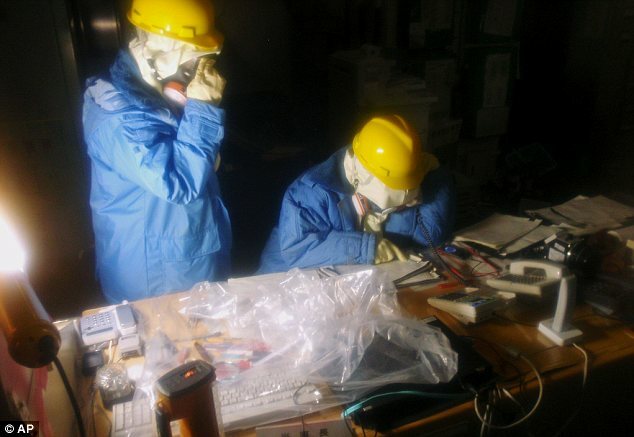 Despite sweltering heat from the damaged reactors, they must work in protective bodysuits to protect their skin from the poisonous radioactive particles that fill the air around them. But as more radiation seeps into the atmosphere minute by minute, they know this job will be their last. 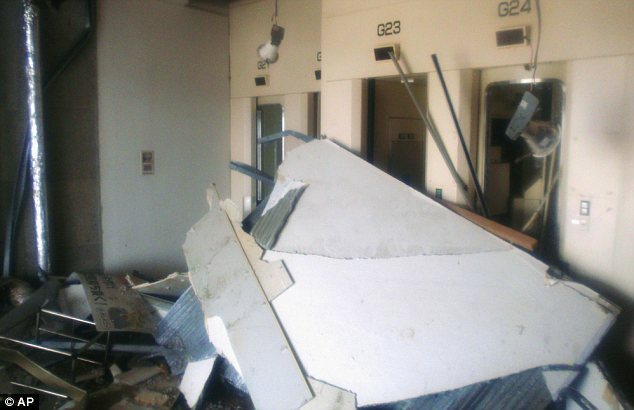 Five are believed to have already died and 15 are injured while others have said they know the radiation will kill them. 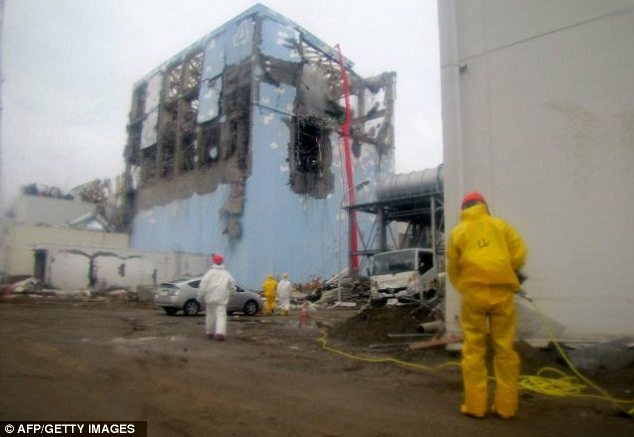 The original 50 brave souls were later joined by 150 colleagues and rotated in teams to limit their exposure to the radiation spewing from over-heating spent fuel rods after a series of explosions at the site. They were today joined by scores more workers. Japan has rallied behind the workers with relatives telling of heart-breaking messages sent at the height of the crisis. 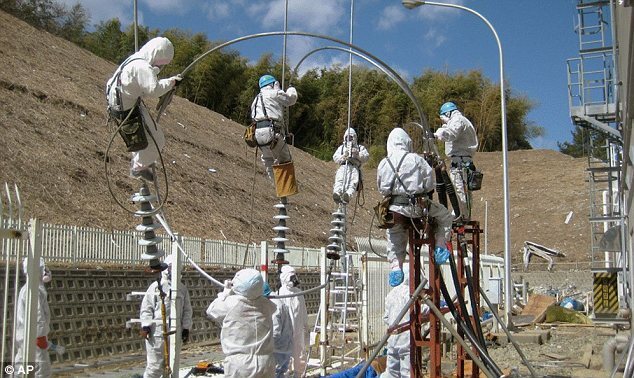 But it is becoming even more pressing that the Fukushima succeed after it was revealed today that Tokyo's tap water has been contaminated by unusual levels of radiation. While only praise can be showered on these 50 or so volunteers for the true greater good, the biggest punishment possible should be doled out for those who knowingly let this catastrophe occur, if indeed corners were cut in the design of the NPP, and also for those who continue to lie to the population in an attempt to prevent a panic (yes, we have all heard the Mutual Assured Destruction lies of a government that does "what is best for everyone") while simply allowing an ever greater number of people to succumb to radiation poisoning or worse.